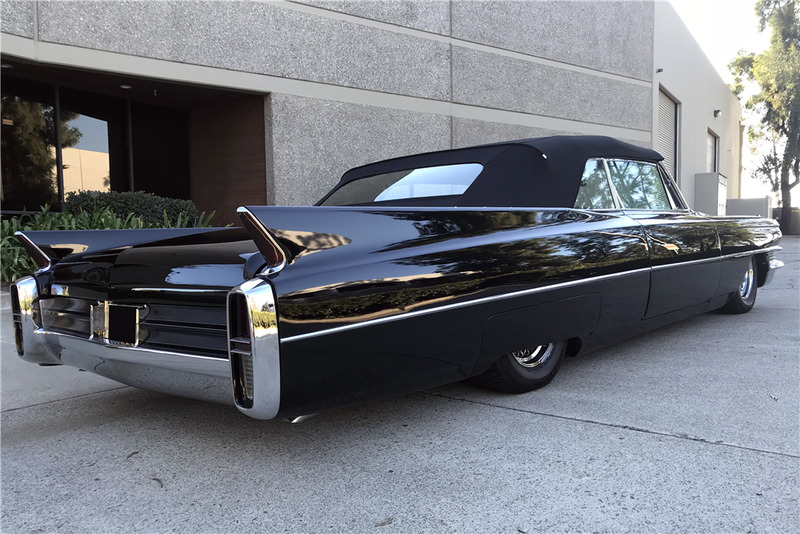 This custom 1963 Cadillac Series 62 convertible was featured in the 2009 November issue of Street Rodder is powered by a 390ci V8 engine backed by an automatic transmission. 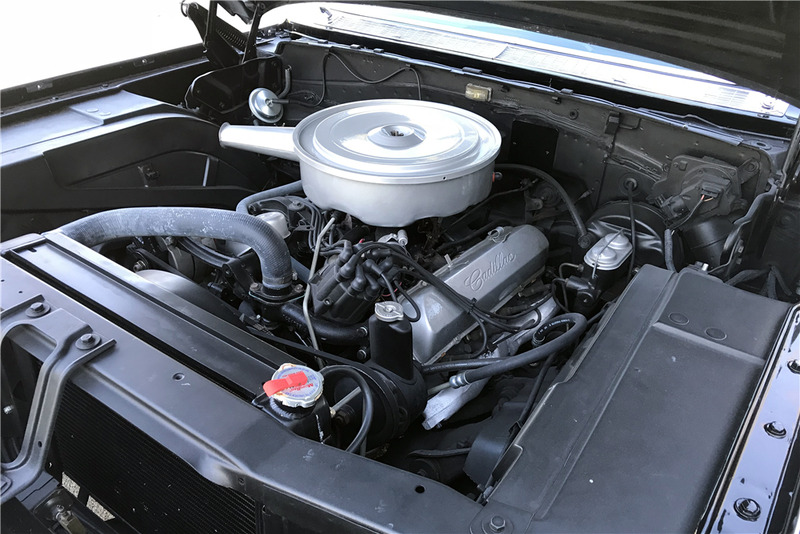 This car features shaved door handles and trunk, airbags with four separate controls, PPG black base coat/clear coat paint and a black Stayfast European cloth top. The interior is done in white and black with an upgraded stereo with a subwoofer in the trunk.